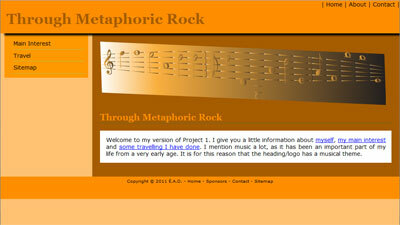 This is the first project I completed on the Web Design course. It contains some information about myself, my main interest and some travelling I have done. This is my version of the Photo Gallery assignment. 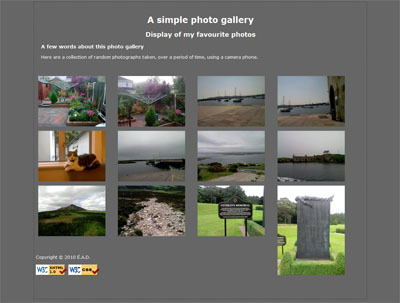 It contains some photographs taken over a period of time using a camera phone. This is my version of the Media assignment. 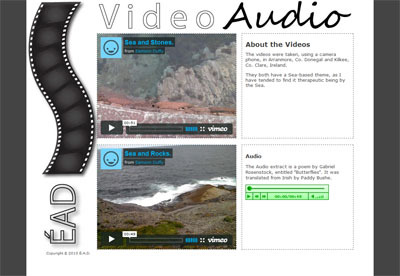 It contains two videos taken using a camera phone, and one audio-only segment containing a poem by Gabriel Rosenstock. 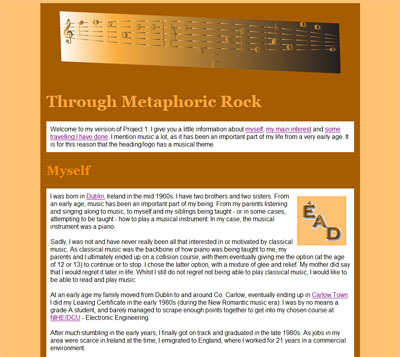 A version of this assignment that uses HTML 5 can be found here. Please note that there are some streaming issues with this with some Browsers and some Web Servers. This is my version of Project 1 refactored as a 6 page Web Site. This is my version of Project 3-1. 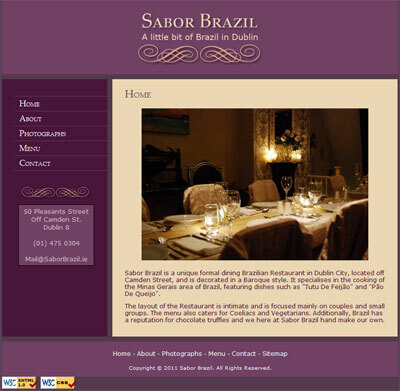 It is a 6 page Web Site for the Sabor Brazil Restaurant in Dublin, Ireland. The current version of the real Web Site can be found here. This is my version of Project 3-2. 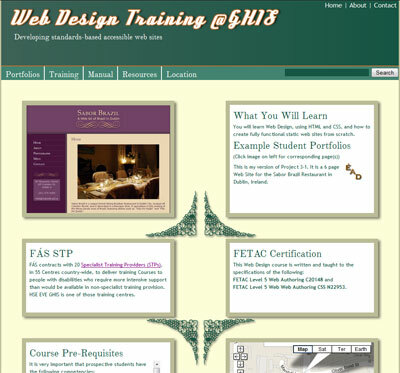 It is a 12 page Web Site for the GHIS Web Design Training facility in Dublin, Ireland.